Learn how to make a cute teddy bear bauble ornament for your Christmas tree, wreath or Baby's 1st Christmas with Kyriakos' step-by-step instructions. Download and print our Christmas Stockings ClipArt to make the cutest paper stockings for tiny teddy bear gift tags and tree decorations. Learn how to adapt this round chipwood storage box into a cute Teddy Bear's Teatime magnetic playset. 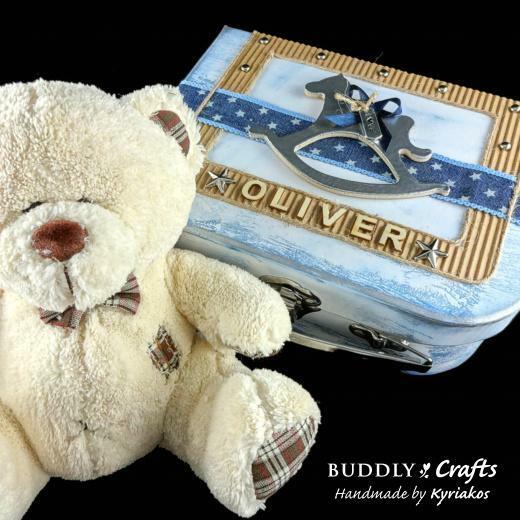 Decorate a little papier mache box and place a teddy bear inside to make the perfect gift for any youngster. Repurpose a papier mache box to create a playful seaside beach scenery for your tiny little teddy bears. Learn how to paint teddy bears with acrylic paints. Quick tiny pipe cleaner teddy to make.